You are here: Home / News / Where are we at with Closing the Gap? This week, as they have done every year since 2010, the (current) Prime Minister will get up and give his official report to the Parliament (and the Nation) about how we are tracking in our combined efforts to close the gap in life expectancy and health outcomes between the First Peoples and the non-Indigenous peoples of Australia. This has been a stated bi-partisan and national priority since 2008 – what have we achieved? And what is our PM likely to tell us when he stands up in Parliament to table his Closing the Gap Report? That the governments of Australia commit to achieving equality of health status and life expectation between Aboriginal and Torres Strait Islander and non Indigenous people within 25 years. In 2008, the newly installed Rudd Government, fresh from making the historic apology to the Stolen Generations, signed the Close the Gap Statement of Intent in response to Tom Calma’s Report. Then in 2009, along with most of their State and Territory government counterparts – the Federal Government announced the creation of the Closing the Gap Strategy through the National Indigenous Reform Agreement which included nearly $6 billion dollars committed towards the programs and services that would close the gap. Fast-forward a decade. While Australia has churned through six Prime Ministers in that time, the key national Strategy for Indigenous Affairs – in the words of the Close the Gap Campaign’s A Ten Year Review - ‘has to date only been partially and incoherently implemented’. The sad truth is that the life-expectancy gap has once again begun to widen. Last year, at the annual tabling of the Prime Minister’s Closing the Gap Report to Parliament, we were told that only 3 out of the 7 targets were on track. So in early 2017, the Federal Government announced that it was going to ‘Refresh’ the Closing the Gap Strategy, in order to reform the program that should (after 10 years) be already making significant strides towards closing the gap. Fed up with the process and the time wasted in in figuring out how to fix the Strategy, a group of Aboriginal and Torres Strait Islander peak organisations called on all Governments to pause their Refresh process and enter into a formal partnership with Aboriginal and Torres Strait Islander peoples to figure out what to do. Writing to Government, the Aboriginal peak organisations rightly stated that ‘the gap won’t close without our (their) full involvement’. In a positive move, at the 12 December 2018 meeting of COAG, the Federal, State and Territory governments responded by committing to entering into formal partnership with Aboriginal and Torres Strait Islander leaders to negotiate the next Closing the Gap Strategy. It is wait and see time now… I will be shocked and delighted if Prime Minister Morrison announces some improvements in achieving the Closing the Gap targets this week. Sadly, as the last 10 years have shown, the 5 minutes of spotlight on the state of Aboriginal and Torres Strait Islander health and wellbeing has never been enough to get a consistent effort from any government over the last decade. For 2019 to be different, we need the formal partnership between Aboriginal and Torres Strait Islander peoples, represented by their leaders and the Australian governments to be an era defining success. The pending Federal Election will be all about taxes, boats and reforming the banks – all-important issues to be debated – but how much longer should we wait for Government to get serious about Indigenous Health? The many Aboriginal and Torres Strait Islander peoples, and their friends and colleagues, that have been patiently, quietly and diligently working to improve the health of the people in their communities – they deserve much better. Closing the Gap must be a first order priority for any government and it is time we get this right. 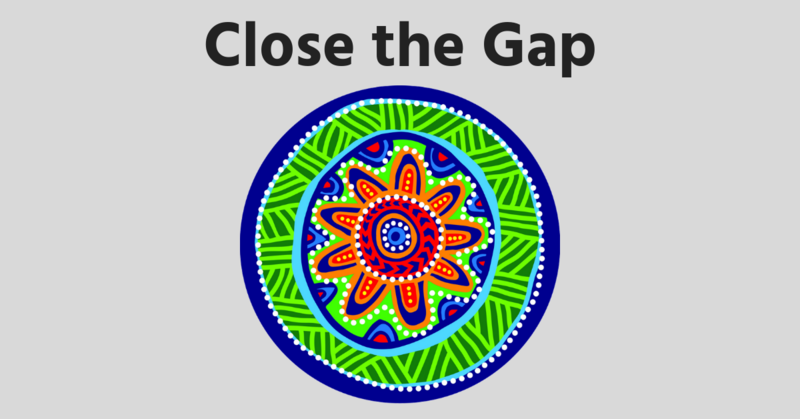 If you want to do something to show your support for Close the Gap, visit https://antar.org.au/closethegap and register your support for National Close the Gap Day on Thursday 21 March 2019.